This is Advantage Home Inspections first ad that was designed right here in Raleigh. ends with competing on service instead of price. “Tenzing called it the roar of a thousand tigers. Hour after hour it came in whining and screeching in an unrelenting stream ffrom the west with such feriocity it set the canvas of our small Pyramid tent cracking like a rifle range. We were 25,800 fett on the South Col, a desolate saddle between the upper slopes of Everest and Lhotse.” Sir Edmund Hillary. Sir Edmund Hillary live a bold life, filled with extraordinary accomplishments. 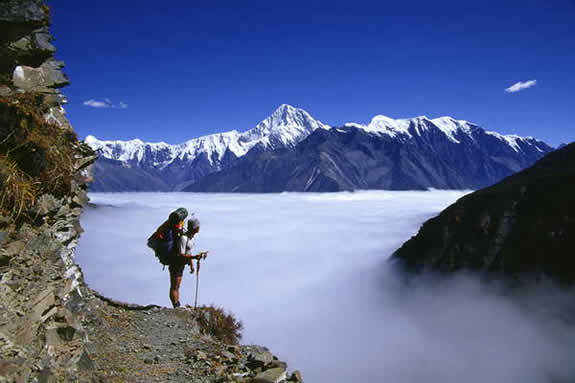 High Adventure and View from the Summit are classic stories of the first ascent of Mount Everest. It is a story of incredible perserverance in the face of danger. Sir Edmund’s challenges parallel our own challenges and perserverance today. Yes the challenges and adventures today in the home loan and home hunting forest ! It seems like every day someone is asking about why it is so hard to get a real estate loan. Just two years ago anyone, and I mean anyone, could get Everyday Loans to buy a house or condo. Well, the times have changed and rules from the lenders have changed right along with the times. But who is writing the rules? Why are the new rules a moving target? Where can I find some answers? First find a great REALTOR. The right REALTOR is the key to household wealth, wide spread connections, certainty and Peace of Mind. Your REALTOR should demonstrate clarity in their commitment to you, have easy to use interactive tools designed to provide you with personalized answers about the buying process and be an expert in public relations, marketing & advertising. Your REALTOR will have a team of experts that will help in every step along the way. Your REALTOR’s team will energize, focus and innovate into today’s fast-changing real estate environment. In a world where every thing’s done at the speed of the Internet, valuable wisdom and disipline are gained from their experience. Sound to good to be true, well it’s not. Just do your research. The right Real Estate Professional will lower the hurdles in the buying race for your perfect home. Leigh Carsen, a legal expert in Real Estate transactions states “the right inspector will be experienced, meticulous, plainspoken and ideally have a proven track record in your area.” Ask your agent for a recommendation or check for local members of the North Carolina Licensed Home Inspectors Association (www.NCLHIA.org) or the National Association of Certified Home Inspectors (www.nachi.org). 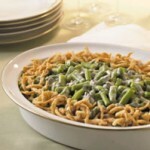 Green Bean Casserole: Count the Ways! How many times can this lunch and dinner standard be turned into something new and special? Most recipes are quick and easy. You can take your pick as long as they are crowned with French Fried Onion toppings that are crisp and flavorful. But what can be learned from this handy dish? It is the passion of sharing. The wealth of knowledge that is passed on makes all the difference whether that secret Green Bean Caserole reciepe works or not, has your family asking for seconds or the plate is scraped in with the dog food. It can mean a clean dish with a smile or more leftovers for the frig. At Advantage Inspection Raleigh we share our passion and knowledge. 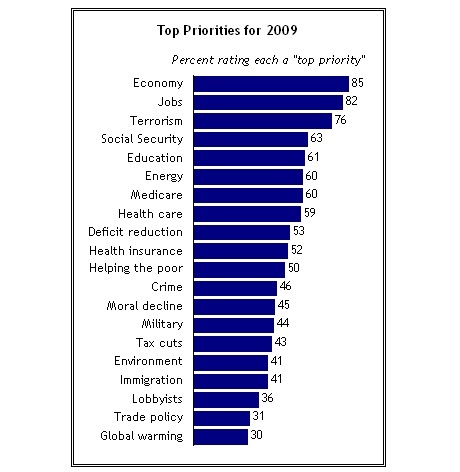 Just like the engine of an automobile, you house works as a system of independent parts. Every part has an impact to the operation of other systems. A home has well over 15, 000 parts, pieces or stuff in it. And when all the “stuff” works together, you have a home this is comfortable, healthy, and energy efficient. Our job is to report the home’s condition at the time of the inspection and provide education on the operation of the home. We are not fortune tellers and cannot predict the future, but we can help you from becomming overwhelmed by the home ownership experience by providing the opportunity to share our passion. 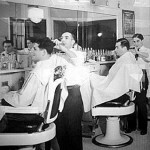 Many home inspectors share their passion and expertise at the barber shop. We share our passion and knowledge with our clients! For more than 17 years our home inspection process has been the deciding factor for the people we serve: Real Estate Agents, Home Inspectors, and Home Owners. Serving Raleigh, Durham, Cary and the Triangle.